According to Moustafa Khataw, chairman of the Tanzania Association of Travel Agents (Tasota), in spite of the local and international challenges that faced the Tanzania travel and tourism industry last year, the sector performed well, but could still benefit from improved facilitation. Mr. Khataw went on to encourage both Tanzania businesses as well as Tanzania authorities to welcome and support innovative digital technology that will be useful in the advancement of one of the key aspects in Tanzania tourism, travel facilitation. “Prospects for 2012 are positive especially if we make the most of information and communication technology (ICTs) in improving visa application and processing formalities as well as in making bookings and other travel arrangements,” said the chairman. Furthermore, Mr. Khataw went on to stipulate that without the new technology, the Tanzania travel and tourism sector will become unimportant in the international travel trade. According to its most recently released World Tourism Barometer, the World Tourism Organization (UNWTO) has indicated that more highly developed travel facilitation can be directly linked to the improvement of economies that are greatly tourism based. To this end, Taleb Rifai, the UNWTO secretary general, has indicated that the approval and implementation of ICT in travel facilitation further helps stimulate demand. 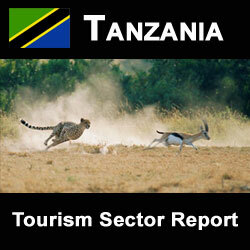 According to Ezekiel Maige, the Minister of Tanzania Tourism and Natural Resources, the country had anticipated the number of tourists to increase by 13-26 percent in 2011, a projection that had been based on a combination of a new marketing strategy that had been put in place and on the anticipated global economic recovery. “The government’s goal was to attract 900,000 to one million tourists in 2011 and we believe we are now better equipped to achieve this target,” explained Mr. Maige. Based on statistics that were released in the UNWTO report, international tourist arrivals reached a total of 980 million last year, which represents an overall growth of 4.4 per cent in 2011 and it has been further predicted that international tourism will continue to expand in 2012 albeit at a slower rate that 2011, but nevertheless reaching the one billion mark by the end of the year.